Our product range includes a wide range of hdpe packaging roll. With the valuable assistance of skilled team of professionals, we are offering an extensive range of high-quality HDPE Packaging Roll. 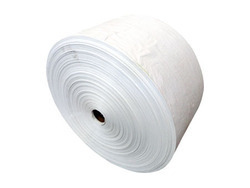 Our offered packaging roll is available in different dimensions and specifications, this is used for in the packaging of sugar, fertilizers, and fine chemicals. Due to its different qualities like high strength and waterproof, this packaging roll is highly appreciated by the clients. In addition to this, we manufacture this packaging roll using premium quality high-density polyethylene.